Our paddle making workshop is designed to teach the fundamentals of hand tool carving while shaping your paddle. Participants will be introduced to a variety of paddle designs, different grips, paddle sizing and paddle care. You will learn how to use a combination of shaves and files but also power tools. Shape your own otter- or beavertail paddle in a one-day paddle making workshop. Choose one of our 5 single blade canoe paddles or make a double blade Greenland kayak paddle. In our two day workshop you make a laminated paddle composed of different woods. Participants will leave with a shaped paddle, finishing to be completed at home. You don’t need any gear to participate in the workshop. 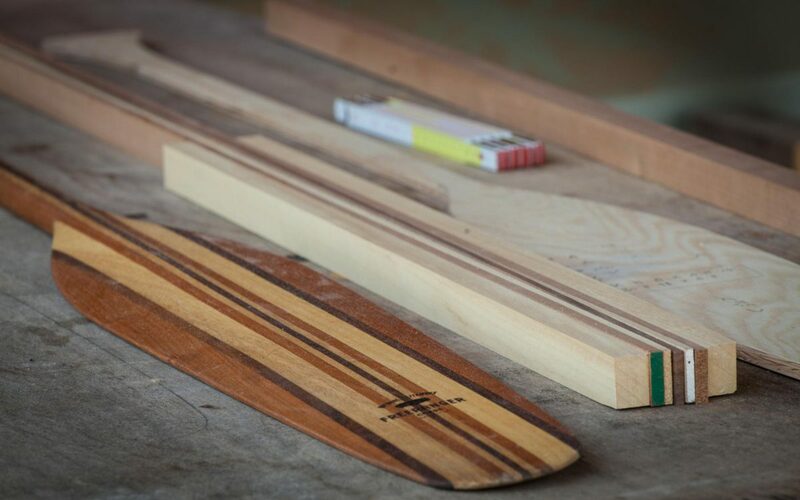 Everything you need to shape a paddle will be provided by Freeranger Canoe and is included in the price. We also provide personal protective equipment when needed. During this 8 hour Greenland paddle workshop you will make make a traditional sea kayak paddle. Each participant will carve a paddle made to measure. The length of the paddle and the shaft and the width of the blade will be adapted to your size. We provide instruction, all the tools and the wood. You provide the elbow grease and go home with a new Greenland paddle! Class sizes are limited to 3 people due to space, tools and the attention given to each student. To book a Greenland paddle workshop, use the registration form below or book through our webshop. Registration is complete once we receive your payment. 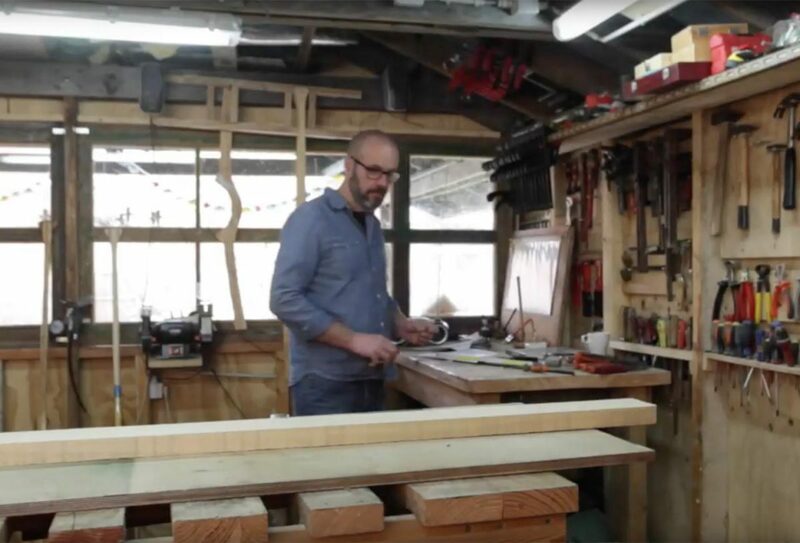 In this class you will make your own canoe paddle out of a single board of ash. You will make a classic otter- or beavertail paddle. A discussion of the various types of paddles and how to size a paddle to an individual will take place during morning. The rest of the day will be spent paring the wood down with hand tools to make a fine canoe paddle. It should be noted that you may not have time to finish your paddle. You will be provided with some varnish to take home to finish the paddle there. To book a canoe paddle workshop, use the registration form below or book through our webshop. Registration is complete once we receive your payment. In this class you will make your own canoe paddle from a variety of laminated woods for a traditional beavertail or ottertail blade. Pre-laminated shafts will be supplied for you to glue up the blades and grips to. A discussion of the various types of paddles and how to size a paddle to an individual will take place Friday evening and there will be time to glue up your individual paddle. Saturday will be spent paring the wood down with hand tools to make a fine canoe paddle. It should be noted that you may not have time to finish your paddle. You will be provided with some varnish to take home to finish the paddle there. To book a laminated canoe paddle workshop, use the registration form below or book through our webshop. Registration is complete once we receive your payment.